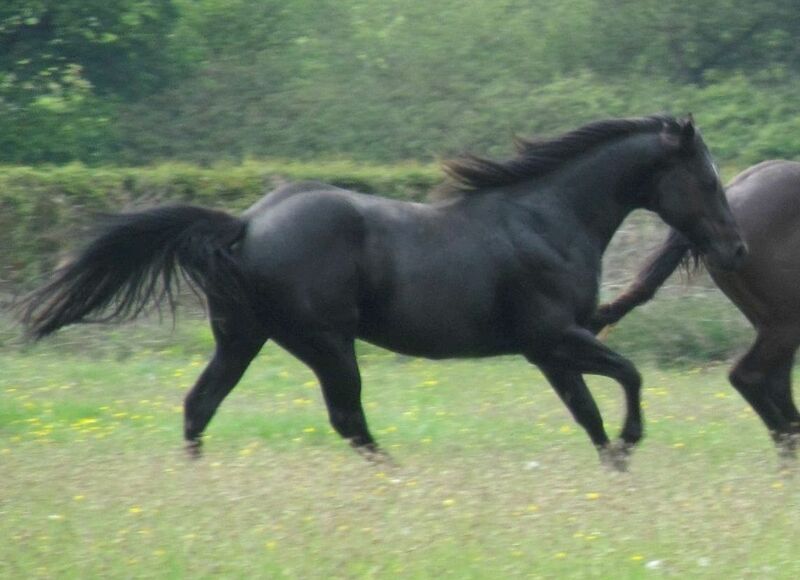 Cowboy is a stunning lad born in June 2013 and built as we like them, from the ground up. Cowboy has strong, correct conformation with good bone and great feet, a cool, gentle temperament with willing attitude and athleticism. 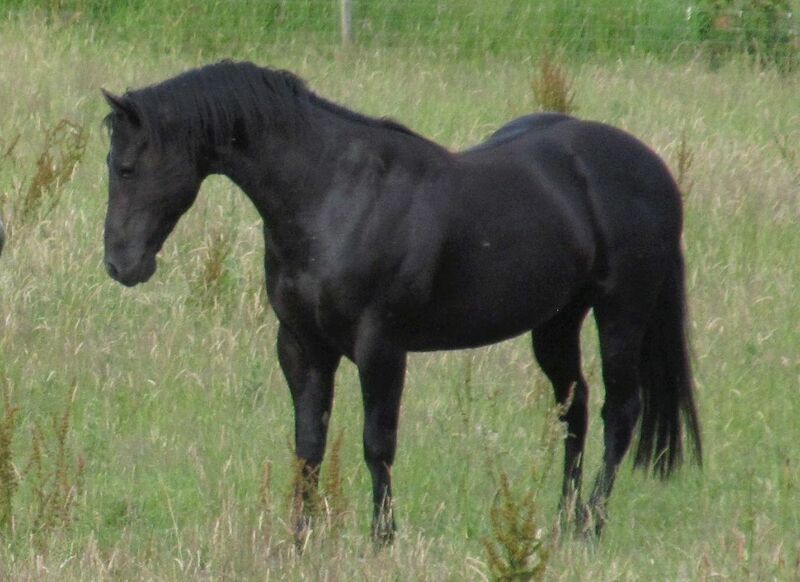 He runs with his mares and foals in summer and colts in winter and is good with all. He has just been backed and is riding out quietly at three paces and despite his young age is a complete confidence giver. His first foals have been stunning and have his easy temperament and correctness. 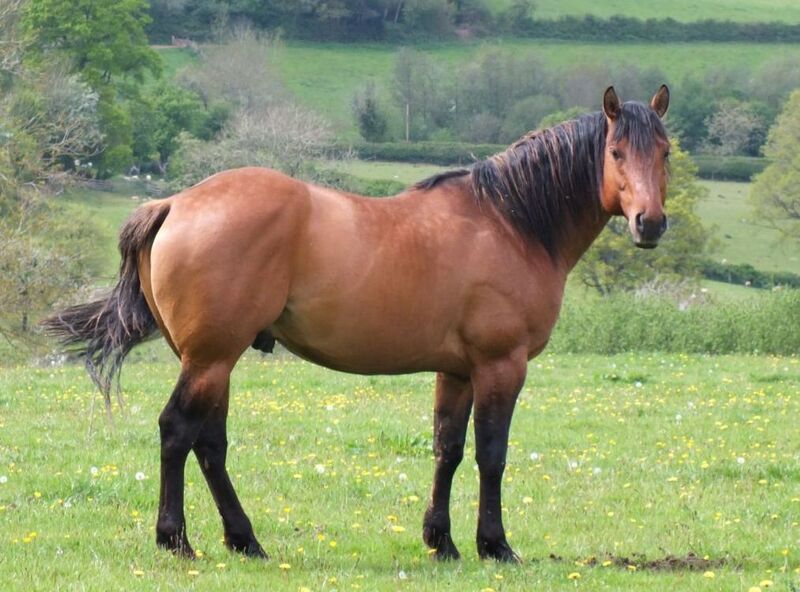 Cowboy's mother, Kernow Amba Moet has conformation that is hard to fault, a temperament that makes her everybody's favourite and a broadly based pedigree drawing on top level ability at many different disciplines. We had to sell her to keep Cowboy as our stud horse and it was the hardest decision to make. When we put her to War Chiefs Pride the aim was was as always to breed correct conformation and temperament with the potential to compete at English or Western disciplines. War Chiefs Pride was already an established, proven sire of halter and performance championship winning progeny before Susan George imported him and he has the conformation and temperament that stands up to real use under pressure. His close relatives are well proven on the professional rodeo circuit. Further back he is a nice blend of World Champion running horses with some of the most respected Driftwood/Hancock bloodlines. It looked like that would produce what we were looking for and what we got was all we could have asked for. Cowboy is amber champagne but will grey out in time. He is panel tested negative. 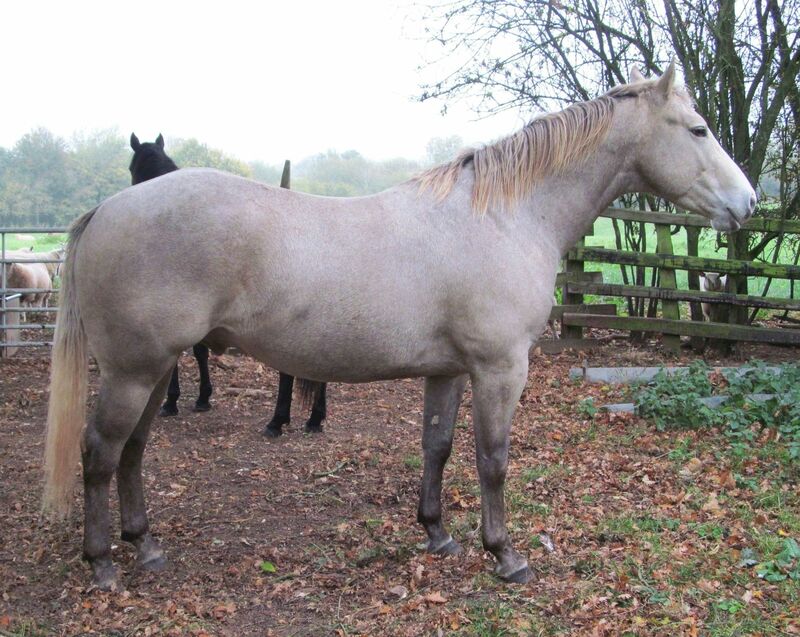 Shogun is Cowboy's half-brother out of the lovely mare Rockfield Misstopgun who we exported to Germany a couple of years ago. We thought these two stallions complemented each other perfectly - Shogun is smaller, compact and deep-bodied with a touch of competition quickness coming from his mother's side, where Cowboy is solid, placid and siring foals who look to be growing into bigger individuals. We are excited to be expecting Shogun's first foals this year. Our very exciting new addition! 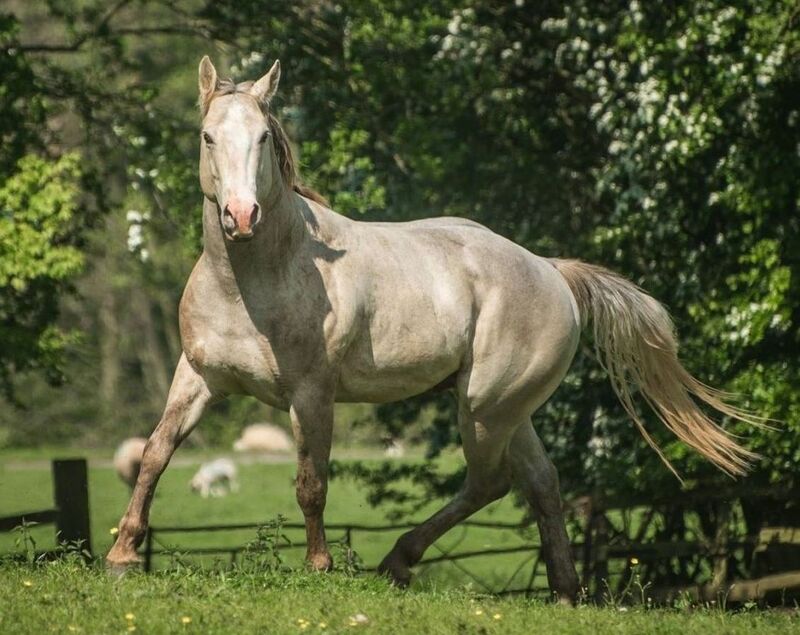 Last year we imported Harlans Real Gun aka 'Samson' from Hancock-Maxon Quarter Horses in South Dakota, to bring on as our junior stallion here. 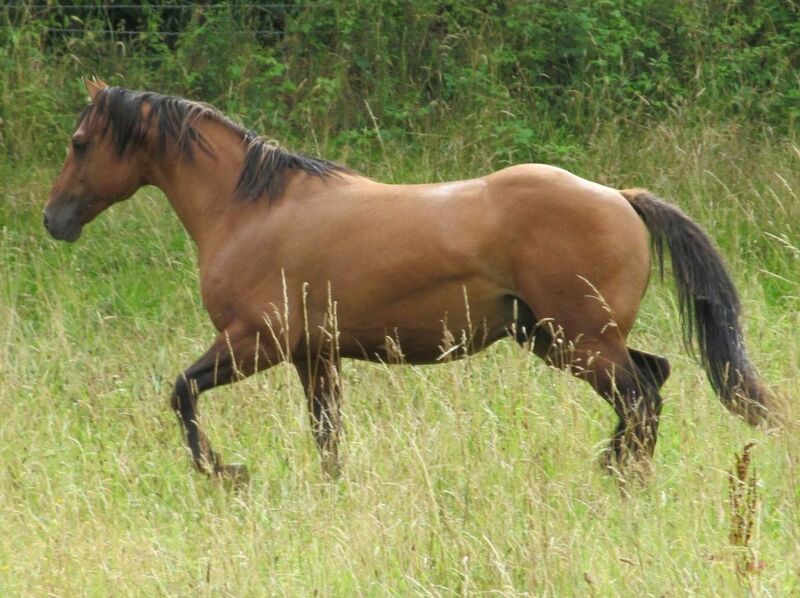 His breeding combines the bloodlines of AQHA Superhorse Real Gun and AQHA Supreme Champion Goodbye Sam with some of the most successful foundation female lines in the industry. He is line bred to 2019 AQHA Hall of Fame inductee, Harlan.